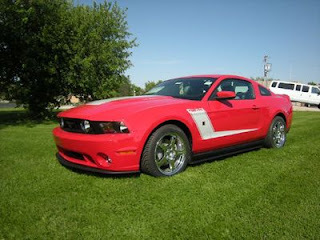 We have just recieved our first 2010 Roush 427R Mustang here at Anderson Ford!! The ROUSH 2010 427R™ Mustang will be the first in the lineup of new ROUSH® 2010 Mustangs to have a ROUSHcharger® installed which boosts the horsepower to 435 and offers 400 lb.-ft. of torque. This is the first time that ROUSH has been able to offer a supercharged vehicle at the launch of a new body style.Under the hood customers will see many differences in the ROUSH 2010 427R Mustang compared to previous years. One of the biggest changes is that the long air induction tube that wrapped around the engine was eliminated making a much cleaner appearance under the hood. The intercooler reservoir has more than twice the volume of previous generations, and the intercooler itself is a single core cross-flow radiator which means more efficient cooling. It is substantially larger than on prior model years, and is now raised higher off the ground which should offer much less potential for road debris damage. Even the hoses on the ROUSH 2010 427R have seen an upgrade; they are all now 100 percent molded rubber with abrasion resistance and have imprinted markings for things like the clamp locations. This makes for even more of a true OEM appearance under the hood, and ROUSH has taken this factory appearance to the degree of matching the Ford grain on the OEM radiator reservoir and duplicated it on the one used by the intercooler. Although much of the 4.6L, 3V powertrain components are a carryover from that used on the 2005-2009 ROUSH Mustangs, customers will notice much more refinement and OEM-level quality materials and appearance on the new ROUSHcharged™ engines. This new 427R™ is be covered by a 3-year/36,000 mile warranty.The 2010 427R™ includes an appearance package which is comprised of several components such as a new front fascia and front splitter, rear fascia, side splitters, and a three-piece rear wing. The new rear fascia is a one-piece design which improves the fit and finish; the part is injection-molded by ROUSH Manufacturing in an OEM-level TPO plastic which, in the black color with decorative grain, will help reduce rock chips. The vehicle rides on 18-inch cast chrome wheels with high-performance Cooper Zeon tires, with a new 20-inch cast chrome wheel as an available option.This package also includes an all-new suspension package to greatly enhance the handling of the vehicle and turn that daily commute into a slalom course. The ROUSH chassis engineering team has driven tens of thousands of miles on the streets and tracks to create the best blend of comfort and handling, and claim that this is the best suspension package they have come up with yet for the Mustang. A ROUSH wheel hop reduction kit will be included with all vehicles that have the upgraded ROUSH suspension package installed at the factory. For All Those Performance Enthusiasts! Ford Motor Company Now Offering 0% Financing For 72 Months For Qualified Buyers!! This Remarkable Savings Is Included On Our In Stock Roush, Saleen And GT Mustangs!! 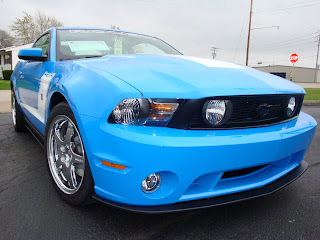 Call Today To Reserve Your Mustang!! For More Information call me!! 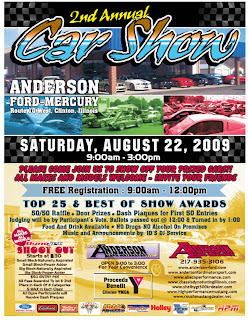 Last year's event was a huge success and we're hoping to make this year's even better!! Be sure to mark your calendars and tell your friends. We'll try and keep you posted with any changes that may occur. 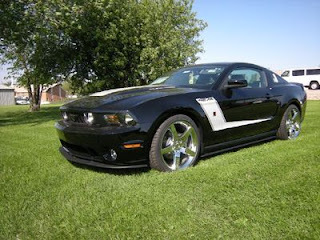 $5000 Cashback on Select 2008 Roush, Saleen & Mustang GT's! 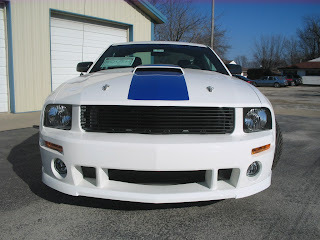 $5000 Cashback Just Announced for 2008 Roush, Saleen, & GT Mustangs!! 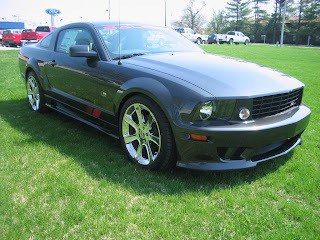 April 16th, 2009 Ford just announced a huge $5000 rebate on 2008 Roush, Saleen & GT Mustangs! Give us a call for all the details.. but hurry, they won't last long! My Customer, Hank, relocated recently to Phoenix, AZ where the racing season is the late fall and early winter! He's done a few mods to the car and is anticipating the long tube header installation soon. 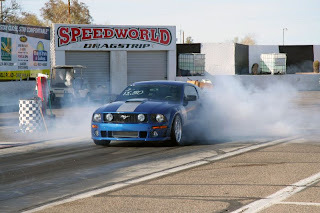 Hank is definately a Mustang and Performance enthusiast! Hope you have great numbers Hank!! And we're not just all about performance mustangs. 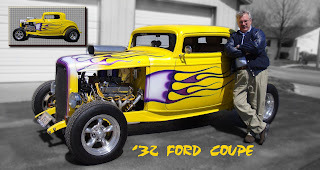 Our Service Department Manager, Keith Boles, had always wanted a '32 Ford since he was a young kid. A few years ago his dream came true when he purchased this car in pieces. And after 2 1/2 years of blood, sweat and gears his hard work has paid off!